Here i am sharing success story of one of our alumni Sunil Pal. Now he is working in AnovIP in DELHI. He did M.Sc in Biotechnology from University of Calicut with 61%. And if talking about his achievements there is more to it. He Worked in two projects in 43 months with the Max-Planck Gesellschaft of fixed 1150 euros per month as following: “Metabolic components of growth responses” and “GoFORSYS”. He was also awarded EMBO poster prize award for outstanding poster presentation on May 6-9, 2009 in Frontier of Plant Research, Cadiz, Spain. 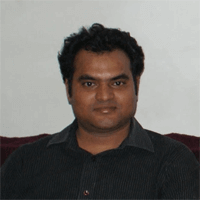 He joined Job oriented Patent Analyst Training Program in IIPTA. Today he is successfully placed in AnovIP ,world’s leading IP Firm on the post of Patent Analyst with very good salary package and he is performing well at his job. Sunil gives most of the credit of his success to his parents and IIPTA team who always remained very supportive. His dream is to fulfill his parents expectations. Here’s wishing his all the very best for his future endeavors.